This image is centered at approximately 29.6 degrees south latitude and 341 degrees east longitude in the Lavinia Region of Venus. Volcanic vent areas in this part of the plains west of Alpha Regio consist of domes and pits up to nearly 3 kilometers across. Extending eastward these features are sinuous channels, most of which are about 10 kilometers or more long. The channels narrow away from the pits and for most of their lengths are about 1 kilometer in diameter. 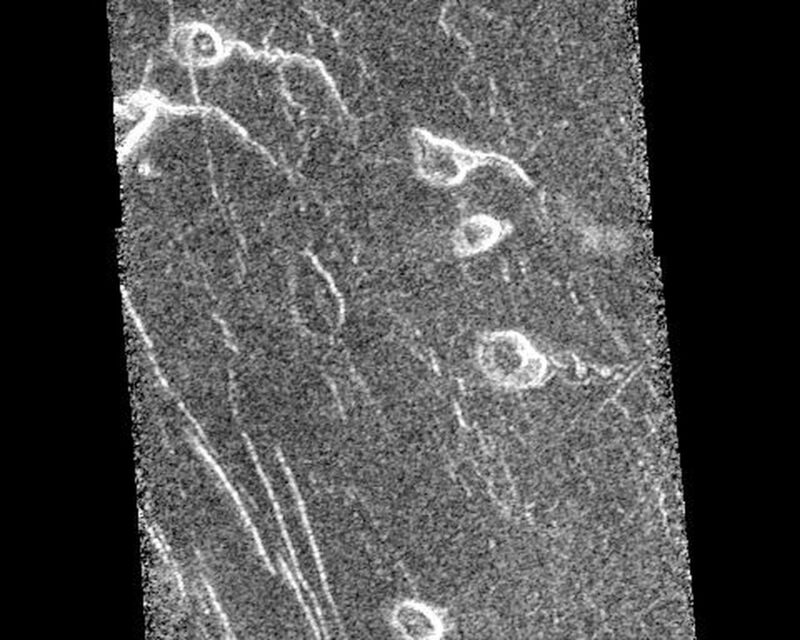 The nearest planetary analogues for these features are sinuous rilles on the moon. These have been explained as lava channels and/or the result of lava erosion. On Earth lava channels form by downhill drainage of a lava flow leaving a channel behind. Lava may continue to flow in the channel once it has formed. However, lava channels on Earth are normally only a few meters or tens of meters wide. On the other hand, they may be the result of lava erosion. This is a process that only normally occurs to a limited extent on Earth because melting is inhibited by the cool upper layers of the planet. Also, lavas rarely flow turbulently enough to cause mechanical erosion. On Venus the surface materials are already at high temperatures, thus assisting thermal erosion and it is possible that lavas which may flow turbulently are more readily available than on Earth. 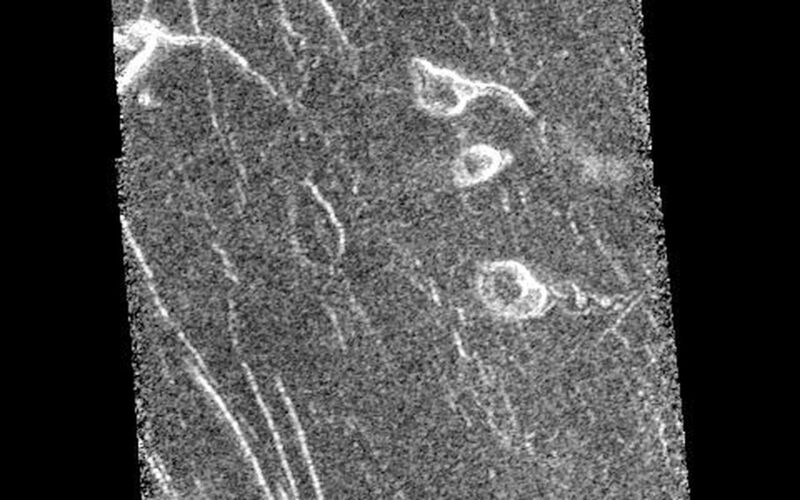 Resolution of the Magellan data is about 120 meters (400 feet).